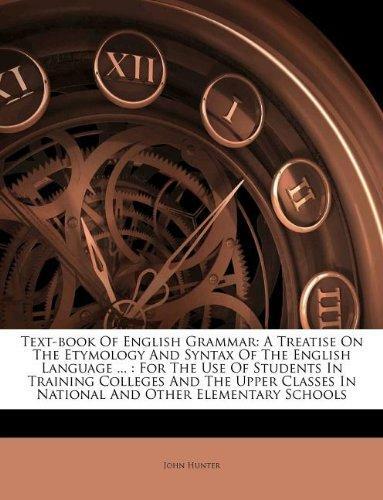 John Hunter is the author of 'Text-book Of English Grammar: A Treatise On The Etymology And Syntax Of The English Language ... : For The Use Of Students In Training Colleges And ... In National And Other Elementary Schools', published 2011 under ISBN 9781178957365 and ISBN 1178957365. Loading marketplace prices 3 copies from $15.91 How does the rental process work?